Live music at Northern Spark on the Greenway. Photo courtesy the Midtown Greenway Coalition. 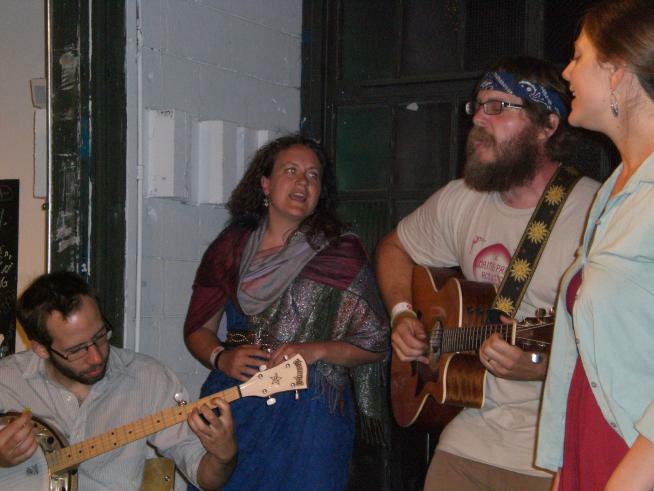 The busker stage at the Northern Spark Coffee Garden on the Greenway, hosted by Peace Coffee, will feature a variety of live performances, including a set by the Wailing Loons at 10pm. Bring an instrument and/or showcase your talent. Sign up and perform! Pre sign-ups are available by contacting Rebecca at rebecca@midtowngreenway.org.